We are the Thompson family from DeRidder, Louisiana. We have 3 daughters and 1 son that love visiting our Silverthorne Townhome! We didn't want to buy in only Breckenridge and Keystone. We wanted something that was close to everything in Summit County. 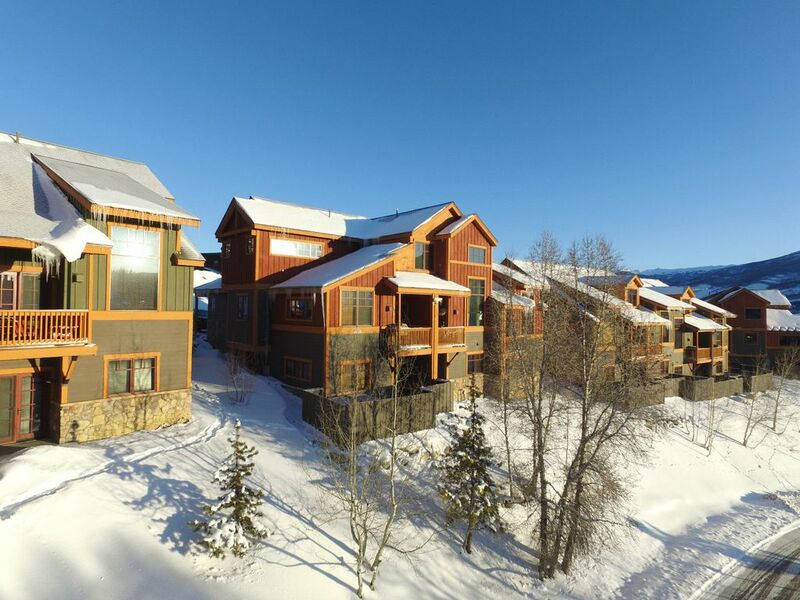 We finally found a townhome in the town of Silverthorne that was 1 minute from the outlets and the recreation center, 6 minutes from Keystone, and 16 minutes from Breckenridge. When we found this place we didn't hesitate to put a contract on it. It's a large house at 2000sf and 4 bedrooms. Previously every time we came to Colorado we were always squeezed in to a one or two bedroom condo. We feel like kings when we are staying in our BIG home! Also we do not have to compete with 50 people for 1 hot tub. We have our own private hot tub that is clean and ready for you any time you want it. Linens are changed between bookings to ensure you always have a fresh set of crisp linens when you arrive. Our one-car garage is heated so you don't have to worry about getting into a freezing car. Our kitchen comes fully stocked with everything you need for cooking: pots, pans, toaster, forks, plates, coffee maker, crockpot, dishwashing liquid and detergent, wash clothes, towels, napkins, spices, etc. Five flat panel televisions. A big 46" in the living room and 36" lcd televisions in each of the 4 bedrooms. We have music on demand available for free through our video on demand device. We have free Video on Demand with over 400 premium movies loaded. We have a private hot tub. It is complete with a privacy fence and patio table. We made sure to put a three step entry so the kids can enter easily with adult supervision. You'll love our hot tub compared to condo complexes where you might find yourself competing with 50 people for one hot tub. Incredible cabin. Matthew is awesome and was extremely helpful as we arrived and settled into the place. The hot tub was cleaned the night before. The appliances are great and there are TVs in every bedroom. Would recommend to anyone. Such a great stay! What a great property! Love the heated garage and personal hot tub. Each bedroom with a king and a private bathroom was so great for our group of couples. Would for sure stay here again and would recommend without reservation! Our family really liked this 4 bedroom home. It's a quality home with a thermostat in each bedroom. There was plenty of space, everything worked well and it's convenient for skiers. The heated garage made it safe and less work for us to drive the SUV in with the ski equipment in the back and leave it there until the next day of skiing. The hot tub was absolutely perfect! It's new and very easy to remove the cover to access the hot tub on these cold, snowy days. The owner was very helpful when we called with hairdryer issues. He described how to make the dryer work and went above and beyond by having an extra hairdryer under the cabinet before the day was half over. We loved the 2 large crock pots and stock pot in the kitchen. I recommended 2 items for the kitchen to the owner, I bet he already has them there! It sure makes for a relaxing ski vacation! We will return. Great rental property with easy access to the lifts. This rental has everything you'll need for a great mountain vacation. Spent 3 nights here and skied Copper Mountain. The bedrooms are huge with plenty of room for the whole family. Garage parking and private hot tub make this a very unique property. Easy access to I-70, shopping and restaurants in Silverthorne/Dillon. Owner is easy to contact and quick to respond to questions. Would definitely stay here again in Summer or Winter. Wonderful Property! Very clean and cozy!